Staff of the Georgia Department of Natural Resources (GA/DNR) Coastal Resources Division (CRD) are on hand for three days in late June to educate both visitors and residents alike about the beach environment and the critters that inhabit it. The event showcases activities, information and materials dealing with a wide array of subjects including beach water quality, sand dollar stewardship and sand dunes. Staff are available to answer questions and talk with beach-goers. "Our goal is to educate both tourists and locals about what they will see at the beach and why good stewardship of this resource is so important," says staffer Jennifer Kline. Mark your calendars for Saturday, October 6, 2018! 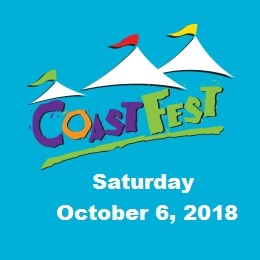 Click here to check out the CoastFest page for all the details!